State Representative Dan Brady will lead debate for the House Republicans on bills coming before House Committees on issues of higher education funding and affordability in the new 99th General Assembly. Brady, an Assistant House Republican Leader, has been named Republican Spokesman on both the House Appropriations-Higher Education Committee which deals with state funding for Illinois colleges and universities, and the newly-created Community College Access and Affordability Committee, which will consider legislation aimed at making a community college education accessible to more Illinoisans. He will also serve on the House Higher Education Committee, which tackles other issues concerning state colleges and universities. “Our universities and community colleges are critical to our children’s future success, and the success of our entire community. These committees and the legislation we will consider there will be more important than ever this spring as we work with the Rauner Administration to chart a new course for our state. I’m very honored to have been selected to serve as Spokesman on two crucial committees this spring and next,” Brady said. Representative Brady said he is also pleased that he has again been tapped to serve on the House Insurance Committee. “With the headquarters of State Farm and Country Companies Insurance located in our district, this assignment is also important for local families, and local jobs,” Representative Brady said. 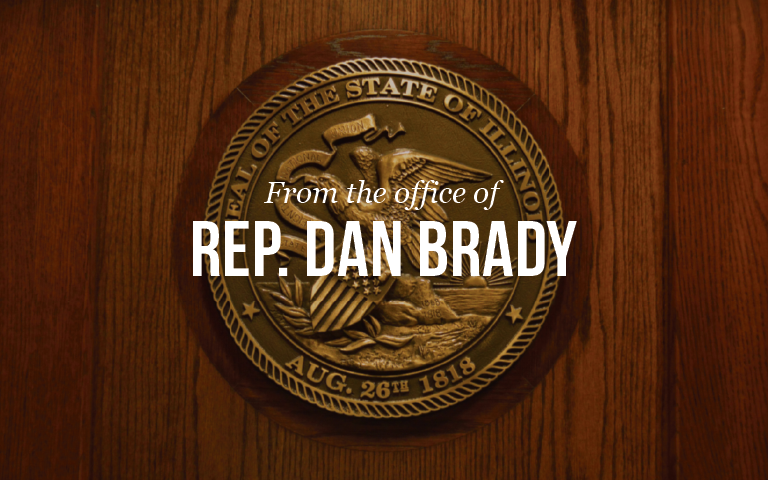 During the 99th General Assembly Representative Brady will also serve on the House Labor and Commerce Committee, another key assignment that will afford him greater input on crucial legislation concerning labor unions and job creation. The House Transportation-Vehicle Safety Committee and the newly-created House Special Committee on Special Needs Services round out his assignments. “This is a diverse assignment list that covers many areas of concern for our communities. I’m looking forward to a busy, and hopefully very productive, Spring Legislative Session,” Brady concluded.